The success of Disney's Frozen highlights the contradictions of copyright. Salon has an article called, "How Disney Learned to Stop Worrying and Love Copyright Infringement." YouTube is full of covers of Frozen's "Let it Go." While I haven't bothered to wade through them all, searching for "Let it Go" on YouTube turns up 2.5 million videos. As Salon reports, Disney is turning a blind eye to this as they have determined that it's free advertising. The problem for me is how arbitrary Disney is with regard to copyright infringement. This 1990 article from the Gainesville Sun in Florida details that Disney sued over a thousand people for copyright infringement over a four year period. Yet now, people who could be charged with infringing the copyright on Frozen are being ignored. The whole point of law is to establish clear rules for what is permitted and what is not. The government's legal monopoly on force is used as a deterrent to discourage lawbreakers and punish, by fine or imprisonment, those who do break the law. When laws are sometimes ignored, it leads to injustice. The current drug laws are a perfect example. Those who are poor and members of minority groups are more likely to spend time in prison than those with money or white skin who commit the same offense. The enforcement of copyright laws are not based on economic status or ethnicity; they are based on economic advantage to the copyright holder. If the copyright owner deems something to be economically beneficial, it is ignored. If it is seen as economically detrimental, either by doing damage to the copyrighted item or by siphoning profits from the copyright holder, the violator will be prosecuted. The problem is that it is impossible to know how a copyright owner will view a "tribute" or "fan fiction" at any given moment. If it chose, Disney, or any other studio for that matter, could scrub YouTube clean of any content that didn’t come from the company. YouTube’s own Content ID system, and firms that specialize in online content monetization like Zefr, empower copyright holders to monitor any unauthorized appropriation of its content, and to collect audience data. A content owner has the choice of removing what it doesn’t like, letting it remain, or taking the next step — imposing ads on it that yield revenue. The balancing act that content owners have to do with regard to YouTube — as well as other fan-friendly platforms like Tumblr — is a tough one. On the one hand, corporations must loosen their grip on their own product for their promotional benefit. On the other hand, ceding control can be a scary thing. But erring on the side of a long leash is the right call. The DIY ethos of YouTube means allowing a mashup culture to blossom even if that impinges on fair use and brand values. The tight rein that studios typically keep on their intellectual property simply doesn’t fly here. The copyright laws, as written, don't work. Copyright holders are simultaneously loosening their hold and tightening it through secretly negotiated trade agreements like the Trans Pacific Partnership. Maybe this loosening will force the current laws to crumble, but the potential for a corporate backlash is there. Rather than have it both ways, it would be in everyone's interest for the law to be reworked so that it can be applied consistently. Instead, it encourages fans to create based on their favorite copyrighted works, until such time as it doesn't. 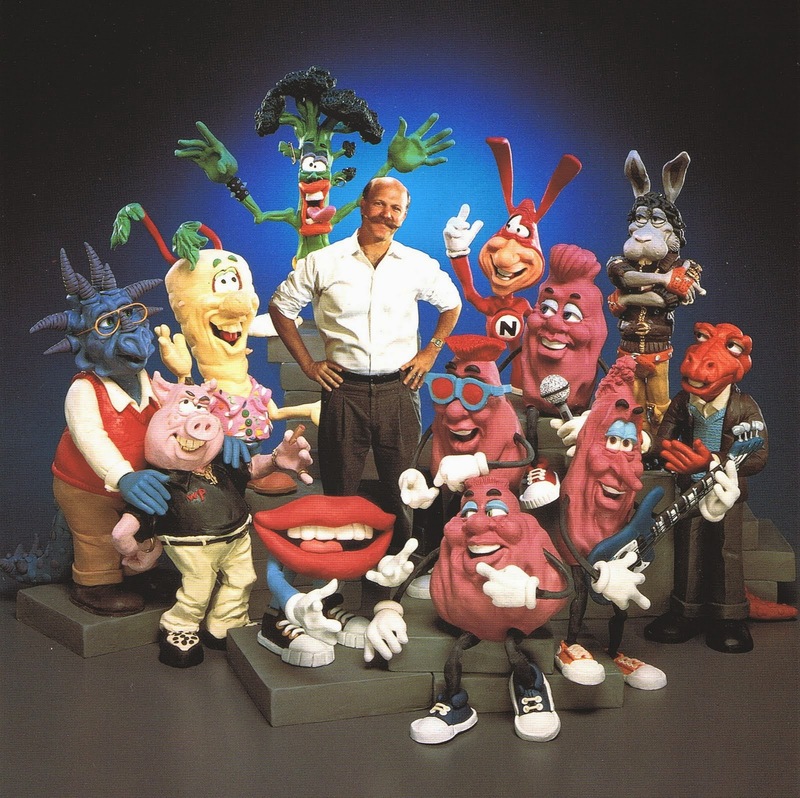 A very interesting article on Will Vinton's career, including how he lost his company to Phil and Travis Knight.